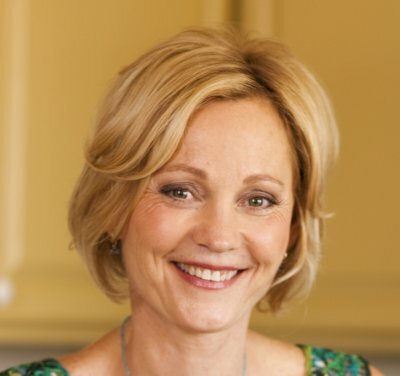 Foodista | IFBC SaMo Speaker Announced: Ann Gentry! We're so happy that famed restaurateur, author, TV host, and blogger, Ann Gentry, will speak on the 'Sustainable Eating' panel at IFBC in Santa Monica! Ann Gentry is a visionary, pioneer and food educator who continues to raise the standard of vegan cuisine. For two decades her restaurants, Real Food Daily remain the premiere gourmet organic vegan eatery in Southern California, CA. Ann is the author of Vegan Family Meals, real food for everyone and The Real Food Daily Cookbook. Ann can be seen on The Dish Network and Verizon Fios on the Veria channel hosting her own cooking show, Naturally Delicious. Ann has also appeared on the Today Show, the Discovery Channel and various segments on the Food Network. Ann is the executive chef to Vegetarian Times magazine where she contributes recipes and articles about healthy eating and lifestyle and her recipes have been published in The Los Angeles Times, Veg News, Junior: The World's Finest Parenting Magazine as well as other national magazines and food industry trade publications. Ann blogs about everything green: from her culinary travels, to her life as a restaurateur and mom, and she shares her invention of new recipes at www.realfood.com.